This was the plea of Bishop Malusi Mpumlwana, General Secretary of the South African Council of Churches (SACC), to delegates attending the seventh annual Peter Storey Lecture, under the theme The prophetic praxis in a rapidly changing context: The doing of God’s will in society – The Evangelical task of the oikoumene in South Africa, on 11 May. Bishop Mpumlwana said prophetic praxis is necessarily in favour of the underserved and least cared for adding that the question that the church needs to ask itself is where it locates itself between those at the top and those at the lowest level of the social pile. He contrasted prophetic praxis with what he calls ‘royal consciousness’, a church that uncritically provides religious legitimation to the prevailing power structure. He said theology must engage the economic, social, and political context to which the theologian is called, not just to interpret reality, but to change it. He added that the South Africa that the church is being called to minister to has a context that gives an immediacy to the call for the church to read the signs of the times and respond after the manner of God’s will. “Twenty four years into democracy, we are seeing signs of the political cliff towards which we are blissfully hurtling as a society, as our political parties, absorbed in their immediate self-interests, are using us the citizens as dice to throw in their dangerous political gambles whose outcomes will extract their costs from the ordinary citizen. “The governing ANC appears to have abandoned its original ‘for the sake of the people’ value system, to become a ‘for the sake of the ANC’. That then has degenerated progressively to ‘for the sake of my faction’ and ‘for the sake of the leader of my faction’, resulting in the dangerous war-lordism that will make the tragic experiences of the 1980s look and feel like a Sunday School picnic. “Province after province is organisationally in disarray; the leagues hardly provide the relevance for which they were created, at least in terms of their sectors of youth and women. They are truly in the pattern of ‘for the sake of the ANC’, ‘for the sake of my faction’; and ‘for the sake of the leader of my faction’, and that, fuelled and lubricated by a complex system of patronage, rent-seeking and corruption with political fat cats running these with menacing security and intelligence brigades. Things are moving in the direction of each political chieftain grabbing his/her piece of the political space, hoping to make off with a sizeable enough part to control,” Bishop Mpumlwana said. The more political quagmire the nation wallows in, he said, the deeper the economic pit into which it will sink. 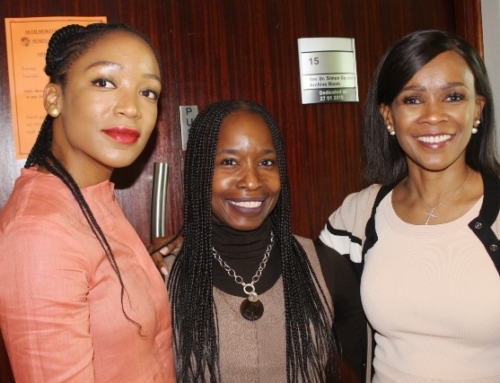 “Stats SA says that some 55% of South Africans live in poverty. Some 30% of the population is on social grants – living off the state budget; some 10 million people live in shacks called informal settlements, with little or no hope for decent living any time soon. Poverty and economic insecurity become a pathology that defines how society behaves; this is especially significant for young people whose lot informs where the country is going into the future for which they must be equipped. “Each year we throw into the ‘job market’ half a million young people who get out of high school with no capacity for any meaningful role in the economy – unemployed and unemployable, but ready for any action: marches and looting, rallies, T-shirts, sloganeering and soundbites,” he said. 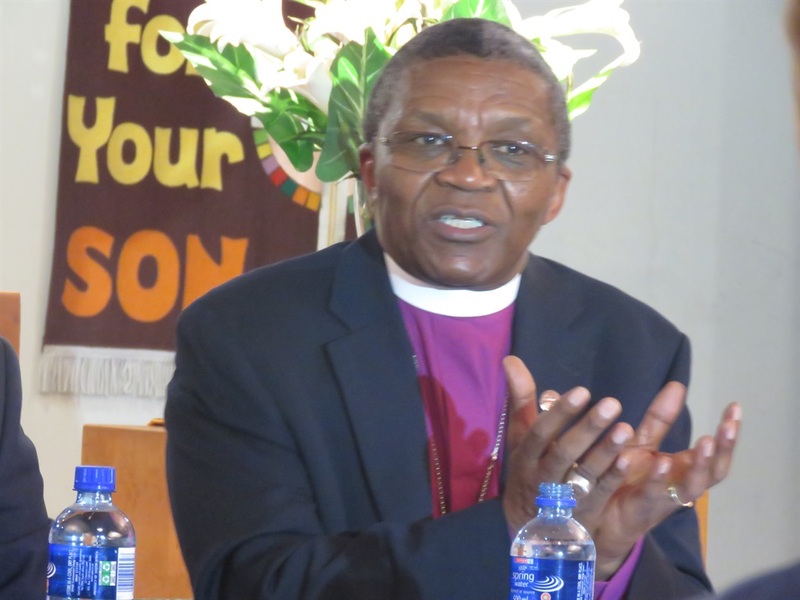 Bishop Mpumlwana said the context of post-apartheid South Africa is quite depressing because, in contrast to the apartheid days, it does not have the energising hope for a ‘future’ in the promise of a post-apartheid society. “South Africa is in a state of flux, with much that has changed and is changing in the political, social and economic contexts. With the challenges of our context where we now add the huge contestation over land; and where religious escapism by especially poor people gives rise to much abuse, it seems good to open up the question of what it means for the church to do God’s will in such a society. Walter Breuggemann suggests that the church’s preaching is ‘a chance to summon and nurture an alternative community with an alternative identity, vision, and vocation, preoccupied with praise toward a God we Christians know fully in Jesus of Nazareth’,” he said.